Since I became parosmic last year, toothbrushing has been a major problem for me. More regularly than I would wish (and definitely more regularly than you imagine), just the simple act of keeping my teeth clean results either in tears or vomit, and usually both. As such my toothbrush occupies a place of much more importance than it used to do. I bought a new toothbrush over Christmas, and I HATED it. Serves me right for not checking reviews beforehand, I guess, but not being able to switch off the brush with just one press was impossible, and this was a dealbreaker for me – when you reach that STOP BRUSHING NAOW!!!! point in the morning, every second counts, believe me – so I did what I am prone to do and tweeted about it. 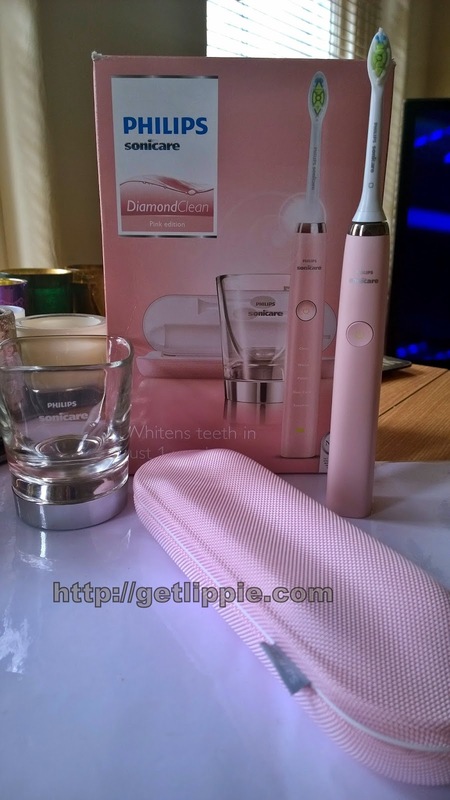 Philips heard about my problem and sent me this Sonicare Diamond Clean to see if that would help me out. This comes with a USB connector so you can even charge it through your laptop! 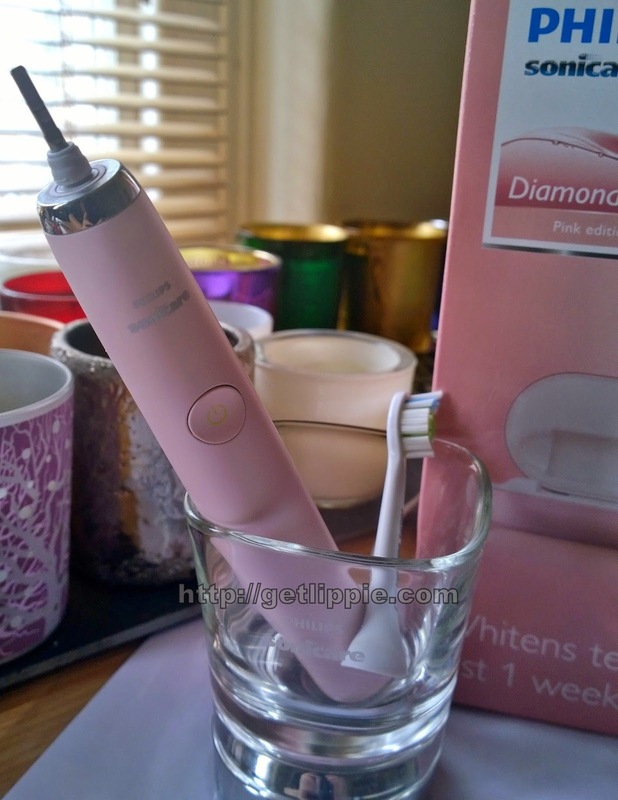 All in all, I love the Sonicare DiamondClean, and I’m glad to have it. I love, love, love the tiny brush-head, it is fully a third smaller than the Braun Oral-B brush heads that I’m used to, and it has made an entire world of difference to me, making it much easier to reach the teeth at the back without gagging. If you have small, or crowded jaws, it might make a heck of a difference to you, too. I can get into all the nooks and crannies with this! Oh, and it turns off with one (long) press of the button, too, in spite of the button also controlling the different cycles as well. There are a few issues though. The price is £250, which is insane, though it does come with two innovative chargers. They could have designed the glass better, currently the brush just lolls about in it, and the sides are too wide to keep your tube of toothpaste in there as well. My tube just slides over and falls out, which is annoying. I’m used to keeping my brush and my paste in the same toothmug. Small things though, particularly when the brush is currently on offer at 50% off at Boots, which is a much more manageable price. Finally, the colour (which I wouldn’t even be mentioning if the press release hadn’t made such a complete song and dance about it, tbh). It’s pink. It is a pink toothbrush. Which is fine. Nothing wrong with a pink toothbrush, actually. What is not fine is that it is pink because, if you hadn’t realised already, this is a toothbrush for ladies. Because ladies love pink. Don’t we ladies? Pink! Ladies! PINK! LADIES! 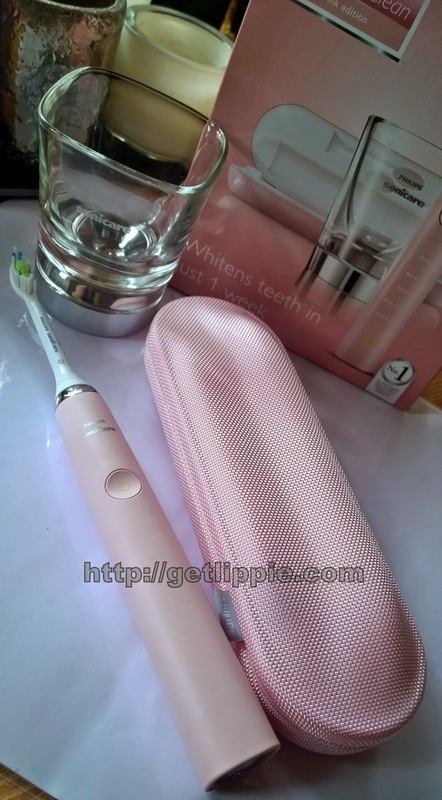 Finally, Philips have brought out a pink toothbrush for us pink-loving ladies! Let there be lady-rejoicing throughout the land at this up till now unfulfilled lady-need finally having a solution. 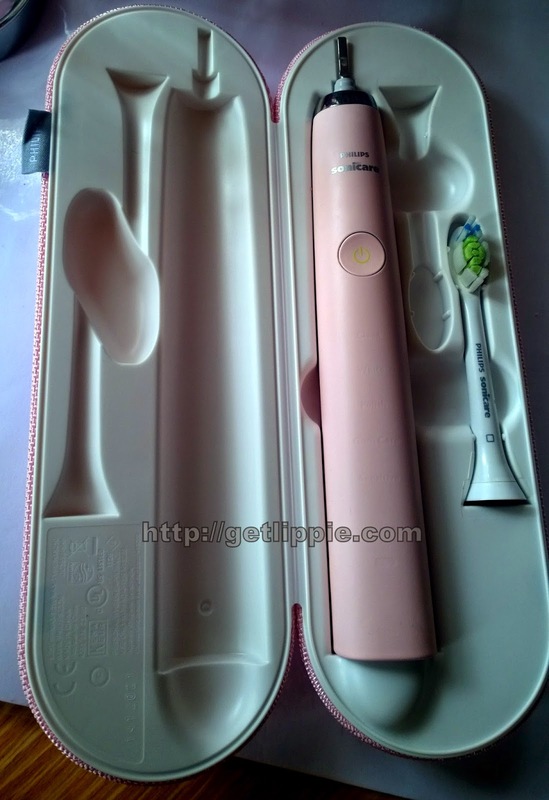 A pink toothbrush in a pink case. For ladies. Now, I’m not sure, but I don’t think my teeth care what colour the toothbrush is, and certainly I’ve never felt deprived at not having a pink option in my electricals before. My workmate probably had the best thing to say about it when I opened the box: “Oh my god! That looks obscene!” And you know what, if you squint a bit at it in the travel case, it does. Best be careful when people are inspecting your hand luggage on your holiday, ladies! Overall, this is a good toothbrush, maybe even actually a great toothbrush. Much like going back to a manual was impossible after having an electric toothbrush, I suspect going back to electric after sonic will prove an impossible step too. I will see if my dentist agrees in about six months.